There are some reasons why dogs jump. Primarily they are happy when greeting people. But the main reason dogs jump on people is because when they were puppies, people thought it was cute and encouraged it. Instead, the humans should have rewarded calm behavior by bending down, and playing with the pup. As the dog gets older and larger, the owner cannot understand why it is so hard to break the jumping habit. People, most unknowingly, rewarded inappropriate behavior, and then, want it to stop. That only confuses your dog. Here is where positive reinforcement, punishment-free obedience training pays off. 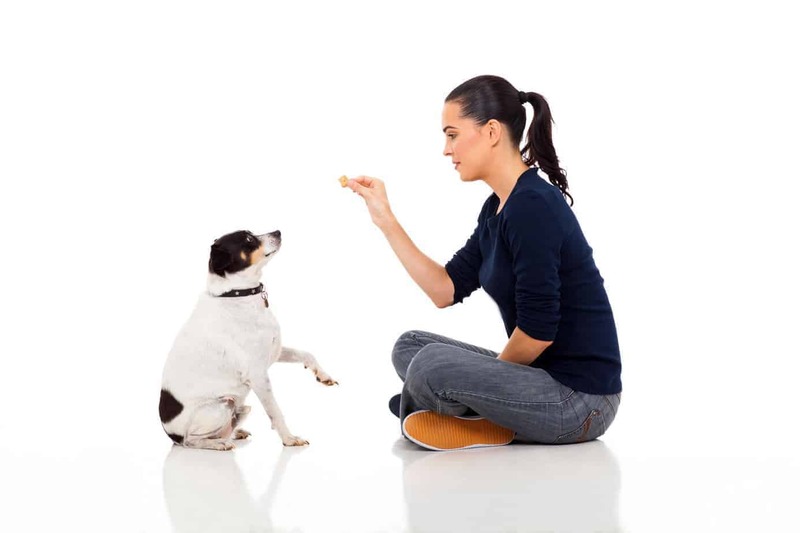 If your dog has been trained to “SIT-STAY” until you give a release command, all you will have to do is give the ‘SIT-STAY’ cue. To please you, they will follow your command. A dog cannot sit, and jump on someone at the same time! 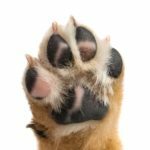 Once you have your dog under control with the “SIT-STAY” command, you should not have any problems either in the house or while walking your dog. Now, to see why this is so confusing to them, let’s take a look at this “problem” from your dog’s point of view. First of all, you need to understand how dogs greet each other. They start off greeting face-to-face. To them, it is perfectly natural to want to jump up to greet you or your guest, to greet face-to-face. However, it is up to you to teach your dog that it is unacceptable behavior to greet a human face-to-face. Humans, no matter who they are, are always Alpha. Since they have no real concept of time, you may have only gone to the mailbox, but to them, you have returned to the den safely. First, they want to acknowledge your return, second they want you to acknowledge them, and third, they want to know what tasty morsels you have brought back from the hunt. This excited behavior is perfectly normal to your dog. As Alpha, you must maintain your leadership position in the pack. Alpha only acknowledges pack members when they choose. You must teach your dog they will be acknowledged, but only when they are calm. If they jump up to greet you, ignore them, turn your back to them, and walk away. Jumping is not behavior an Alpha rewards. Cue your dog to “SIT” in their “special spot.” Designate a particular area for this action. A sitting dog cannot sit and jump at the same time. IMMEDIATELY, when their tail hits the floor, calmly acknowledge them. Do not make the mistake of getting them excited. Bend down, and let them know they are good dogs! That is their reward. Unknowingly, your friend encourages and rewards the unacceptable behavior by acknowledging the jumping dog. Big mistake! They are rewarding unacceptable behavior. Dogs should never be recognized until they are calm, and all four paws are on the floor. Before involving other people, teach your dog to go to a “special spot” and to “SIT-STAY” as you open the door. If they move, return them to the spot, give the command once again. Repeat this as often as necessary. Your dog should retreat to their spot, sit and stay, as you open the door. 1. Inform your friends that you are training your dog not to jump up on people. 2. Tell them you need their cooperation as “guests” during this training period. 3. Inform them, your dog must learn not to jump when greeting people, and ask them to refrain from acknowledging the dog when it is jumping. 4. Ask your friend to turn their back to the dog when they enter the house if your dog starts to jump. If your dog is sitting calmly with all four paws on the floor, have your friend calmly acknowledge the dog. 5. If the dog continues to jump, ask your guest to turn their back, ignore the dog and calmly walk back out the door. 6. 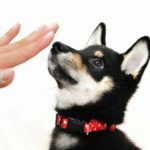 You will need to step in, get your dog under control, return them to their special spot, and give the ‘SIT-STAY” command until you believe they are ready to greet your guest calmly. 1. Having your friend ring the bell or knock on the door. 2. Now, it is your job, to get your dog under control. Give your dog the ‘SIT-STAY” cue, and have them retreat to their “special spot.” Remember, they cannot jump if they are sitting! 3. Open the door and greet your guest. Your dog should remain in the ‘SIT-STAY’ position. 4. If they don’t, if they jump on your guest, give the “OFF!” command, have your guest ignore the dog, turn their back to the dog, and leave. 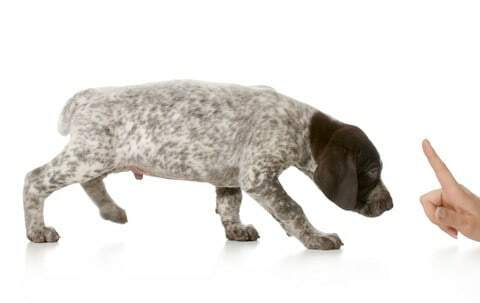 You must return your dog to their special spot, and place them in the ‘SIT-STAY” position and repeat the exercise. 5. Instruct your friend to calmly acknowledge the dog only when the dog is calm, and all four paws are on the ground. This is a hard behavior to change, but it can be done. It may take a minute, it may take five minutes, it may take an hour, but the reward of acknowledgment is only to be given when the dog is calm, with all four paws on the floor. Socialization is key to desensitizing your dog to new experiences, people, and other dogs. 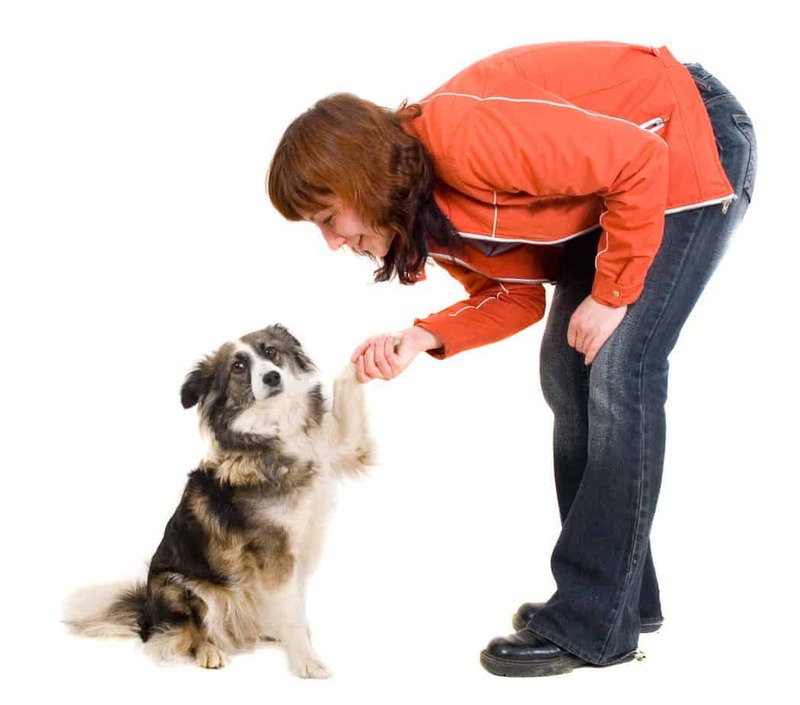 It is through socialization your dog learns how to appropriately greet people and other dogs. Get out more…take your dog to places where there are new people to meet. Enroll in positive reinforcement, punishment-free Puppy Kindergarten or obedience class. 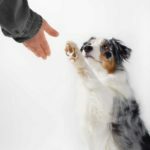 Encourage your dog to calmly greet people. If they appear too excited, turn around, walk back a few steps, turn and make the approach again. Repeat as necessary. Praise and reward him, when he calmly greets the stranger or another dog. Explain if necessary, you are training your dog. Many people are more than willing to help you if invited. During training, being fair, firm and consistent is important. Do not encourage jumping games, or tap your shoulder for your dog to jump up on you, until your dog is completely obedience trained and under control at all times. Your dog should have an “on” and “off” button if you insist on letting them jump up on you. I respectfully disagree with your advice. The most glaring flaw would be your assertion that dogs naturally greet face to face. Dogs naturally circle & sniff in greeting. A face to face greeting is considered dominant and aggressive. This is one reason so many children get bitten after being instructed to thrust their hands into the dogs face “for them to smell you”. It would be nice to think turning your back on the dog would stop him from jumping. But unless the dog has an extremely soft temperament, you would need to introduce some form of negative as a counterbalance to the positive. I repeat, my disagreement is tendered with respect for your opinion. But as a professional trainer with over 30 yrs experience, it is my opinion that your strategy to stop jumping is more often then not ineffectual. Thank you for your great advice and the perspective from the dog’s POV. We have a new puppy and this advice is invaluable! Great advice once again.You are right, it requires a lot of patience and consistancy to work with a dog used to jumping up on people. The earlier the better with any dog especially smaller breeds. I have found they are more likely to dispay this behaviour as some owners find it cute or just ignore it as a problem.